In a world that's constantly super-sizing this and upgrading that, it's hard to imagine that getting smaller could be a good thing. But- that's exactly the case with the SmartSource Micro Series. We've packaged all the technology you need to affordably and efficiently manage remote deposit capture right from your desktop. No bells, no whistles, no extra costs for features you don't need and won't use! 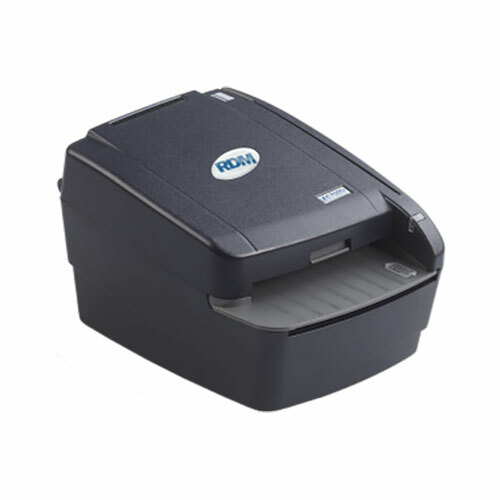 Why tie yourself down by choosing a scanner that requires an AC power adapter? The SmartSource MicroEX series is capable of operating using USB power alone, making you truly mobile without forcing you to sacrifice all the comforts of your office. Imagine the possibilities. Deposit checks from the road and access your money faster.  Image receipts and business cards as you receive them, making the possibility of accidental loss miniscule. You're constantly on the move. Make sure all your best tools move with you. We've included the best OCRdriven MICR technology for your E13B and CMC7 read applications. 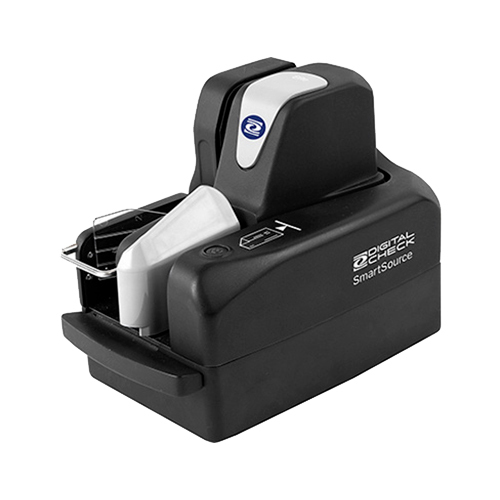 Our SmartSource MicroEX Series boasts up to a 98% character read rate so you can be sure that you're getting the accuracy that your client demands. 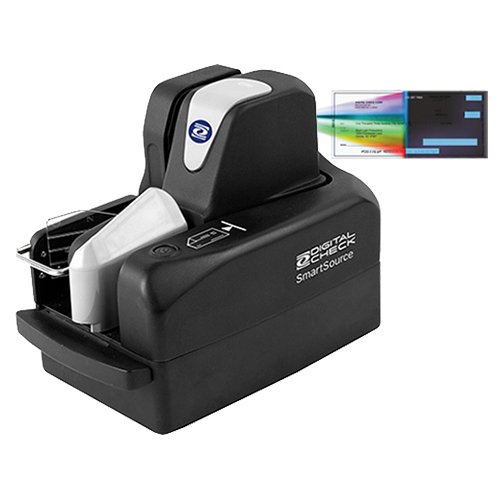 The SmartSource Micro scanner is compatible with and easily integrated into applications developed for the SmartSource Professional or Elite series scanners. 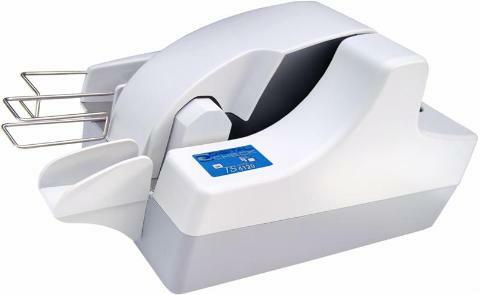 All of the latest Burroughs software technology is available for this scanner including industry leading Magnetic Ink Character Recognition (MICR), Optical Character Recognition (OCR), combined MICR/OCR, barcode recognition, color imaging, and image processing algorithms. 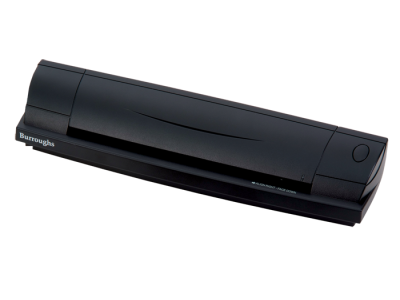 When you purchase a MicroEX series scanner you don't just get world class support from Burroughs. You also get it from our extensive software partner community. We work with dozens of application providers to make sure that when you want to utilize our scanners the right options are available to you. Check out our website to see which partners can help you create a flawless remote deposit capture program that grows your business.